Big data analytics provides a more complete view of the customer by fusing different sources of data together and turning them into valuable insights. Business intelligence tools can be used within the telecommunications industry to analyze operations and budget, capacity management, and network operations and management. Read this blog post to learn more. Telecom Application Programming Interfaces (APIs) capitalize on existing network infrastructure and platforms to facilitate many new business opportunities. Learn the five key areas in which telecommunications APIs can be monetized in this post. Computer technology is no longer limited to desktop computers and laptops, it is moving onto, and into, the human body by way of wearable computers. Although this hands-free gadget is a popular emerging trend, not all industry verticals are free of constraints on development. This post outlines common concerns and factors to be considered for military, healthcare, and industrial uses. The combined earning for mobile gaming apps stores was $7.1 billion in 2014. That number is expected to grow with a compound annual growth rate (CAGR) of 21.5 percent from 2015-2020. Find out more about this rapidly evolving market in this article. Sports and fitness, healthcare, and clothing are key markets for the early success of wearable technology. Wrist bands, wrist watches, and headgears that measure and monitor fitness performance will continue to dominate the segment. 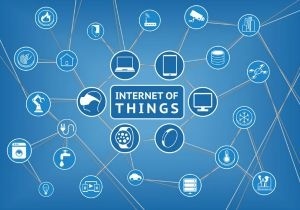 Embedded systems will be at the cornerstone for the deployment of various Internet of Things (IoT) solutions. Watch for transformations within real-time operating systems, microprocessors and microcontrollers, memory footprints and networking, and the open source community and developers. Telemedicine offers many benefits — from high cost savings and increased efficiency to improved healthcare access in rural and remote locations. This blog post explains the factors driving the need for mobile and connected healthcare. Through the rising use of smartphone apps and technologies, city authorities can find new ways to become more cost-efficient. Mind Commerce forecasts that growth in certain smart solutions and services will grow at a blistering pace. To learn how telecom companies can use big data and analytics to gain a competitive edge, download the free white paper Communication Service Providers (CSPs) and Opportunities from Big Data and Analytics. The information in this white paper is brought to you by Mind Commerce in partnership with MarketResearch.com.